For project and delivery updates click on the “Project Updates” Tab. Our Kickstarter is now over and we are tooling up and fulfilling orders. We are accepting orders on our store page, but they will not ship until May 2019 at the earliest for those who order in April 2019. 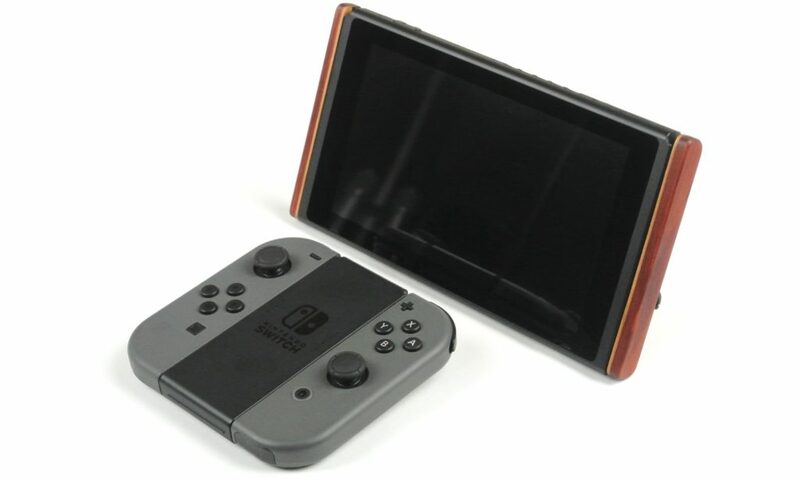 Switchblades are stylish rail covers and kickstands for the Nintendo Switch. They easily slide into the console rails and lock in place. 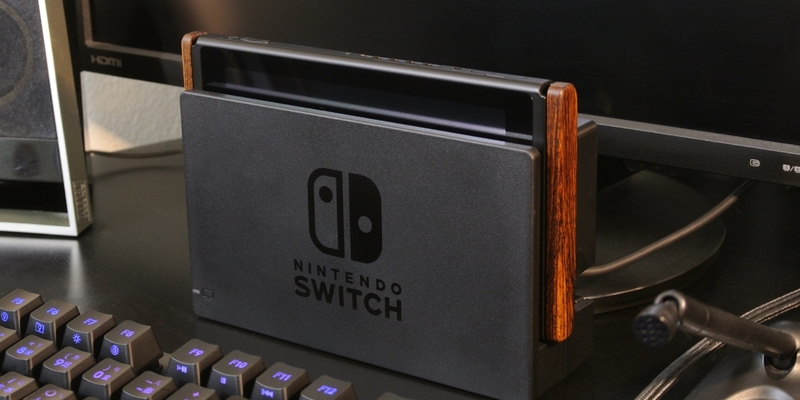 Switchblades protect the console’s electrical leads from exposure, prevent damage to the rails if dropped, and give your Switch a very sharp and classy appearance. 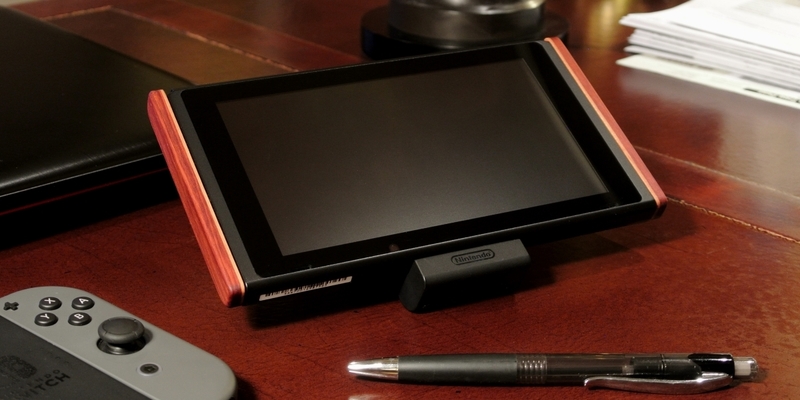 They have a built in kickstand that provides high stability and fold out of sight into the console profile. 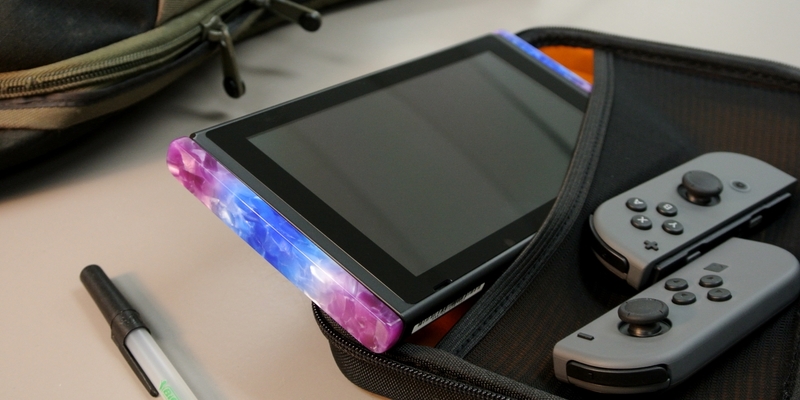 They also protect the console’s electrical leads from exposure and prevent damage to the rails if dropped. Switchblades come in over two dozen different styles including stately hardwoods, vibrant acrylics, and even an aluminum alloy design. Click here to see our product line up. 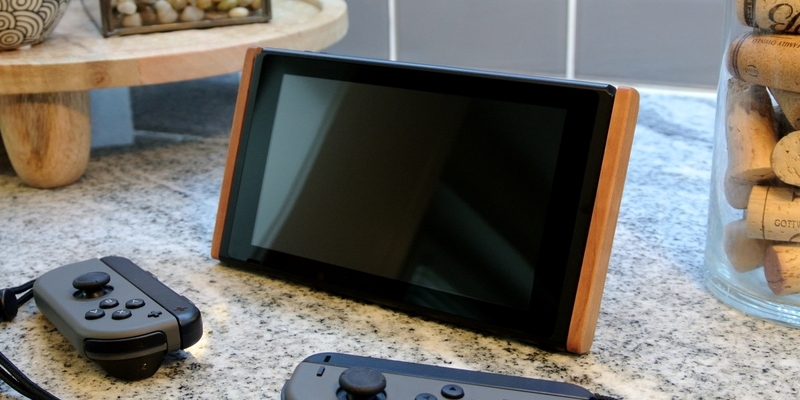 We use countersink screws along with a low-friction polymer to ensure that the Switchblades don’t scratch or mar the black coating on the console rails. We only use solid hardwood; no cheap particle board with a fragile veneer! The wood is soaked with mineral oil to bring out its vibrant colors and coated with beeswax to provide a protective finish. We designed a positive locking mechanism that works with the console rails. The Switchblades install with a satisfying audible click and won’t accidentally slide off the rails. 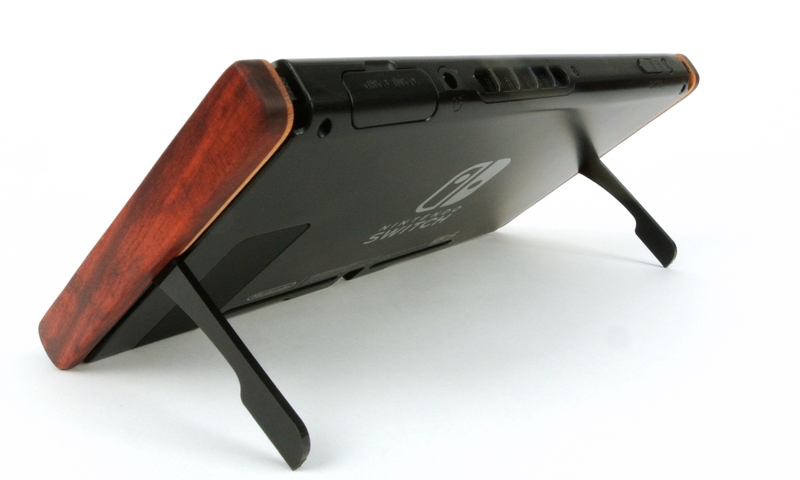 We also designed an integrated deployable kickstand that fold out of the Switchblades. Our positive locking mechanism is designed to slide into the rails with an audible click. It is easily removable with a single finger motion, yet it will not accidentally release itself. We tested the latch for over 3,000 cycles to ensure that they last for many years of use. 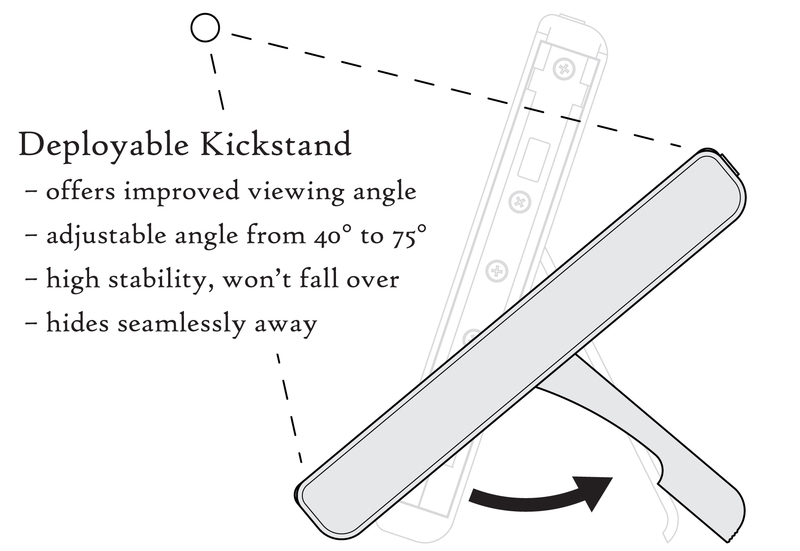 The deployable kickstand is adjustable for different angles of viewing. 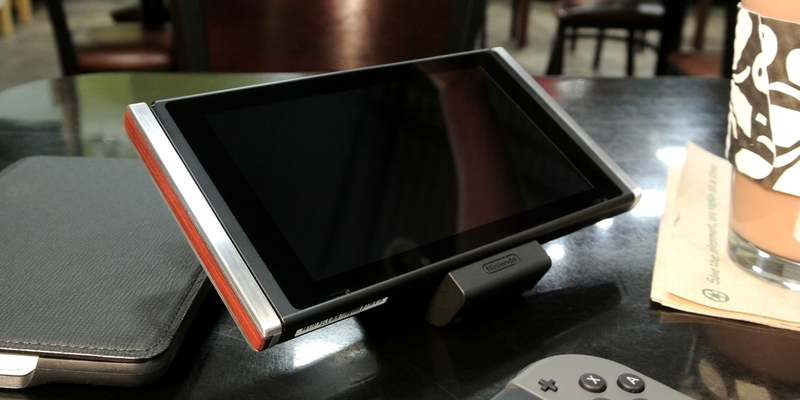 It provides a superior viewing angle compared to the console’s kickstand. It is also much more stable and cannot be knocked over easily.